Trump Claims Ex-Intel Chief Admitted FBI Spied on His Campaign. That's False. 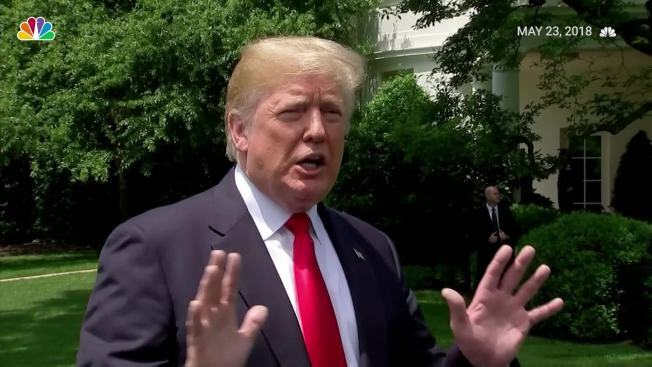 President Donald Trump repeated a claim Thursday that former Director of National Intelligence James Clapper admitted the FBI had spied on his presidential campaign. But that mischaracterizes what Clapper said on "The View" this week, NBC News reported. Responding to a direct question from one of the hosts, Joy Behar — "Was the FBI spying on Trump's campaign?" — Clapper said, "No, they were not." He went on to explain that the purpose of the FBI's reported use of an informant, which is different from a "spy," was to determine what the Russians were doing. Trump has used Clapper's comments as part of an effort to undermine Special Counsel Robert Mueller's ongoing probe. 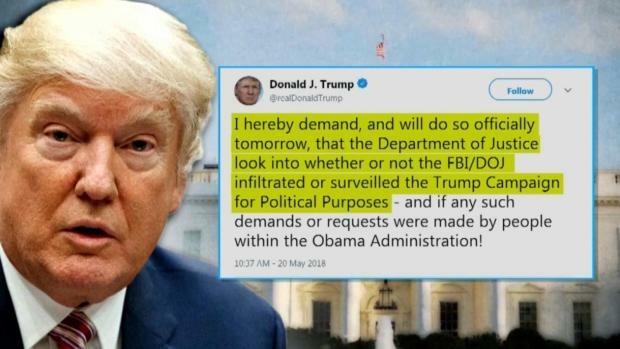 Trump has branded the FBI's use of an informant "spygate."